Thomas Lawton has been jailed for grooming and drugs offences. A 27-year-old man arrested in Morecambe after two girls went missing has been jailed for grooming and drugs offences. Thomas Lawton, of Bancroft Fold, Barnoldswick, was jailed at Preston Crown Court after being arrested by police earlier this year. Around 4.30am on April 30, police received a report two teenagers had gone missing from an address in Morecambe.Police attended the scene and later found two girls aged 14 and 12 in the area. A 27-year-old man, Lawton, was later arrested nearby in his car. Following enquiries detectives established Lawton had been messaging the 14-year-old girl online.He drove from Barnoldswick to Morecambe, collecting the teenager and the 12-year-old before taking them to the Carnforth area.When they stopped he offered the girls cocaine and planned to engage in sexual activity with the 14-year-old girl. However, the girls demanded to be taken home as they were frightened. Lawton returned the pair near to home before driving away to avoid being seen with them. Lawton was quickly arrested around an hour after both girls had been reported missing and charged with grooming and drug offences. After pleading guilty to offences of grooming and possession of cocaine, Lawton was sentenced at court this week to two years and four months in prison. He was also given a 10 year Sexual Harm Prevention Order (SHPO) and a 10 year notification requirement. 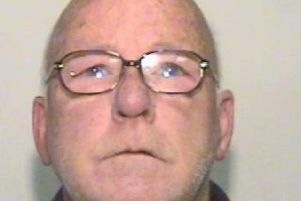 Temp Det Insp Andy Ellis, of Lancashire Police, said: “Lawton is clearly a dangerous and predatory individual and we welcome his imprisonment. “Lawton started grooming one of the victims online by engaging in sexualised messages. He then arranged to meet her, driving to Morecambe in the middle of the night. “After picking the girl and another teenager up, he offered them both cocaine and planned to engage in sexual activity with the 14-year-old girl.The girls demanded to be taken home.